It’s ironic, really. A fight that most people said they didn’t know or care about is now viral all over social media. Had Pacquiao won easily, we probably wouldn’t be having this conversation. 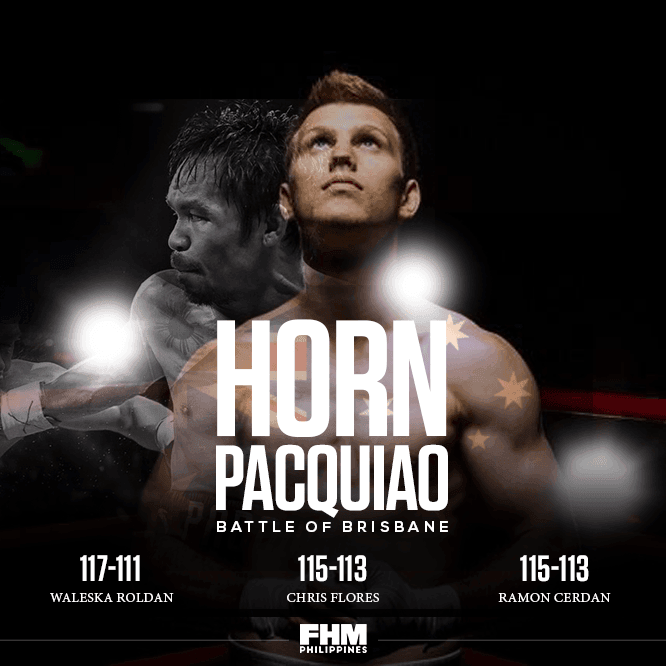 But as we all saw yesterday, our hometown hero lost his crown in Brisbane, Australia to the once-unfamiliar Jeff Horn. The fight was a tough brawl for both fighters. Horn did well to rough up and wear down a slow-starting Pacquiao in the early rounds, tagging him with right hands and using his weight to lean on him. Pacquiao picked up the pace mid-fight and began to hurt Horn, coming close to a knockdown at least once or twice, but Horn continued to land. Both guys were spent by the championship rounds, but they fought it out to the finish. From where I was standing in the bleachers, it was a close fight that could’ve gone either way, and I’m certainly not crying foul at the decision (though that 117-111 scorecard was way off the mark). Let’s face it, we Pinoys are notoriously sore losers. We’ll cry fixed/rigged/luto/bayaran/#biasedmedia at any outcome that we disagree with. Yes, the unanimous decision for Horn was controversial, and there’s a very strong case that our countryman should’ve gotten the win. But we don’t always get what we want, and we need to accept things as they’ve unfolded. Call for a rematch if you want, but let’s just move on from this fight. We also need to stop the hate and give credit where it’s due. Horn is a young and hungry fighter who fought the fight of his life. He won as the big underdog and brought fistic glory to his country. Sounds like a familiar story, right? If Pacquiao himself can come to terms with the outcome, then so should we. The Aussie fans, for their part, cheered their boy but gave respect and applauded Pacquiao for his efforts. We could all learn a little something from them. Father Time catches up with everyone, and even our Pambansang Kamao isn’t immune from his knockout punch. In Brisbane, the same movements and tactics were all present, but the killer instinct and explosiveness that once endeared him to fans is long gone. 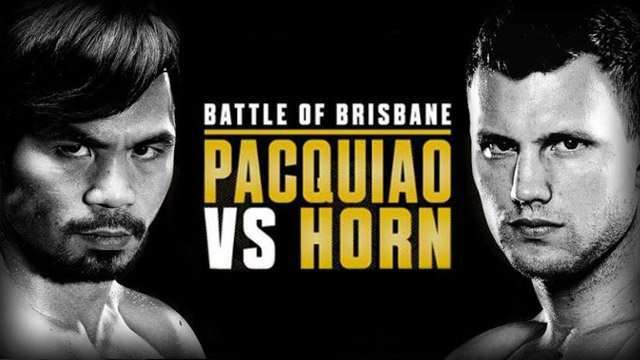 Pacquiao was slow to pull the trigger and couldn’t attack Horn with the vigor he had in his prime. Where he used to feint and set up his legendary left hand, he now lunges blindly and leaves himself off-balance. He’s always baited guys into shootouts by holding his gloves up and daring them to fire, but this time his guns had smaller-caliber bullets. Only he can make the call to end his career, but we need to accept that Pacquiao’s time as an elite fighter is done. He has nothing left to prove, and his legacy as one of the best is secure. For his own health and safety, I hope he hangs up the gloves for good. We’d rather he put all his focus on his duties in the Senate, anyway. Thanks for the memories, Manny.